We owe the title of this book to Ferdinand Engelbeen, who wrote the words in one of many blog discussions some years ago. Ferdinand’s words resonated instantly as a title for the book we had been working on for several years. We decided to serialize excerpts from the book on this blog. Chapter 1 follows. Thirteen point seven billion years ago there was a great flash of light, at first there were only quarks and stuff but within a couple minutes there was Hydrogen the primal proton, which begat Helium within another minute. A bit of Lithium and Beryllium were spawned in the next few minutes, but it was ten thousand years before first Boron and Carbon and the rest of the heavier elements were born in the explosions of supernovae. It may seem like heresy, but this is just our cosmology in scientific clothes. The names might have seemed funny but the concepts would have made perfect sense in ancient Rome or Egypt. So went the cosmology of Heliopolis, inscribed 4500 years ago in Egypt. Let’s just take a look at the similarities. Nun could be either the baryon soup of photons, neutrons, electrons and quarks; or just the unfathomable nothingness that precedes all cosmology. Atum is Hydrogen, and Shu is Helium who eventually begets all the other gods of the pantheon. The Periodic Table is our pantheon, and Carbon is the sixth elemental being. But Carbon is a very special element. Enormous powers are vested in its ability to cling to itself in a double bond, to catenate into long strings, and to form covalent bonds with many other atoms. An entire branch of chemistry, organic chemistry, is devoted to it and a typical animal is nearly twenty percent Carbon by weight. Being element six, Carbon is the second lightest of the elements that had to wait ten thousand years to be formed in supernovae. It is the second in line for formation and it can be found in certain meteors that strike the earth. When your body is sixty-five percent water, which is three times heavier than Carbon, and the lesser constituents like Calcium (20), and Phosphorus (15) are more than twice as heavy; being nearly twenty per cent by weight doesn’t really indicate the prevalence of Carbon in your body. Soot, charcoal, graphite, grapheme, diamond. These images by Michael Strock show some of the forms Carbon can take. DNA is made possible by Carbon’s ability to form long strings. 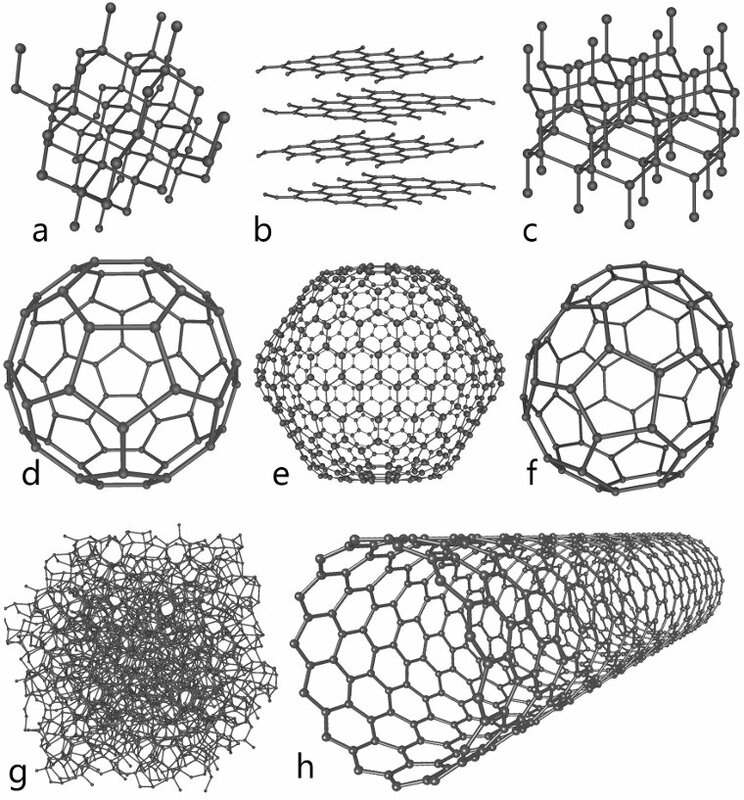 So Carbon is the element of life, but more than just as a building block. Carbon is essential in life processes that take place within and between organisms. Carbon dioxide in the air and water is used by photosynthesizing creatures to create the sugars that fuel the machinery of primary productivity. This primary productivity is then consumed by Oxygen burners like us who reverse the process and gain energy by burning sugars, producing Carbon dioxide. Plants do this as well, of course. That is why they go to the trouble of making the sugars, but they produce a wild abundance. This sustainable and ever renewing cycle is the real magic of life on this planet. You could build fantastic creatures by whatever chemistry you like, but if their metabolic processes are a one way street, they will deplete essential resources and die off in wild swings. When other organisms use a reverse metabolism that renews the resource, a balance can be achieved and the wild swings stabilized within an acceptable range. On our planet Carbon is an arbiter of the cycle. It goes Carbon dioxide to carbohydrate and back again. Call it the cycle of life. We will see that the balance has not always been well maintained and that particularly after extinction events, there have in fact been wild swings before things settled down. NASA has found Carbon “buckminsterfullerines” many times bigger than our moon. More than half of all naturally occurring chemicals contain Carbon. The life on our planet has found a way to take this dirty soot and make a different kind of diamond. Not a hard clear rock that will burn in the air to Carbon dioxide, but a complex evolving system with myriad forms that is remarkably and sustainably balanced. 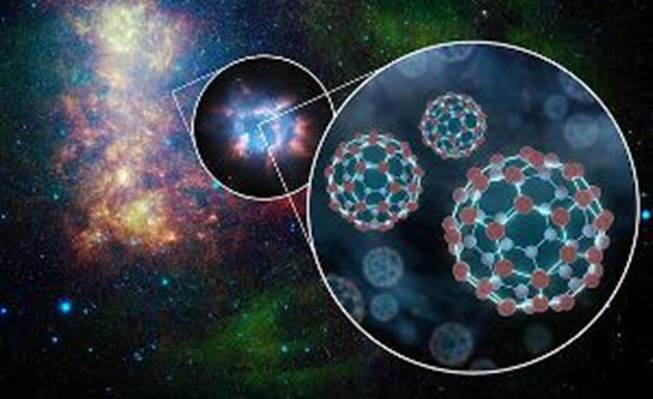 A system that hinges between alternating forms of element number six in our cosmology. Carbon is so essential to life that when its availability is reduced, we have a Carbon Starved Planet. This entry was posted in Carbon Cycle and tagged Carbon Starved Planet. Bookmark the permalink.